Dr. Fred Rosner, former Professor of Medicine at Mount Sinai School of Medicine put together an excellent translated collection of the answer to medical questions. These answers, or “halachic responsa” are written by Rav Yitzchak Zilberstein, the son in law of Rav Yosef Shalom Eliashav, the late gadol hador. Rav Zilberstein’s writings show how one can place their trust into someone who knows more than them which the average person does many times in life when they go to a doctor. Even if we don’t understand everything a doctor (or Rabbi) says to us, we can tell that it’s probably a good idea to listen to what they are telling you when you see a work like this one. The answers are well thought out, often ingenious, and show a breath and depth of knowledge of both Judaism and modern medicine unmatched by no other. However, what makes Rav Zilberstein even greater is the humility – on many occasions, when he is unsure of an answer, he consulted with his father-in-law, the great Rav Eliyashav. Or, when unsure about a medical procedure (e.g. the details of how the morning after pill works), he consults with an expert in the field. There are plenty of charlatans out there, but Rav Zilberstein’s answers are based, with sources quoted from all over the place in Jewish literature, and he is a seeker of truth – the answers are clearly based on what he believes is the truth. Further, the questions, as arranged quite superbly by Dr. Rosner, cover the same question from different angles so you can see and taste where the differentiating point lies between when a procedure is okay, and when not. 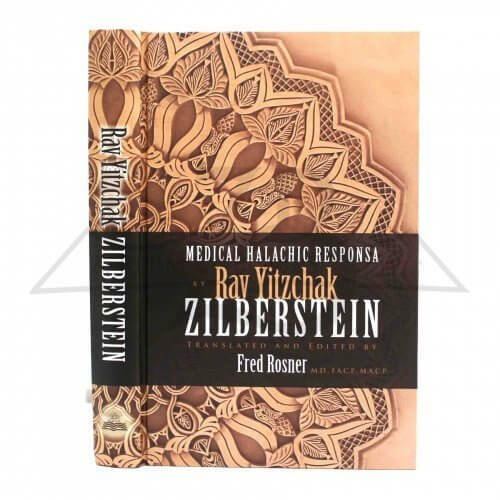 Personally, as a believer in Torah Judaism, after having read this work, I would not hesitate to follow Rav Zilberstein’s advice on how to handle a personal medical situation. I am happy to try and answer any questions in the comments on specific issues, are refer you to where to find answers. However, I decided not to actually print any specific case answers here because, a) they can be taken out of context or misunderstood, b) printing an entire answer is probably copyright infringement, and c) the answers tend to require reading a whole section to get an understanding of an issue. I highly recommend buying the book. Albert Einstein Biography – Who was he and how Jewish was he? Why Aren’t There 100,000 Jews in the Dominican Republic? © 2019 Patently Jewish. All rights reserved. Design by picomol. Powered by Patent Lawyer Patent Attorney NY NJ.